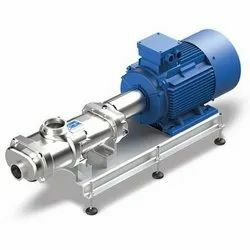 The Houttuin double entry twin screw pumps series 216 are horizontal rotating self priming positive displacement pumps. Two inter-meshing screws rotating in a pump casing insert ensure high pumping efficiency with constant axial flow and unequalled suction power. The spindles are supported and axially held in position by ball bearings. The transmission of torque from the driven spindle to the idler spindle is effected by oil lubricated timing gears located outside of the pumping area in an attached gearbox. The ball bearings and timing gears maintain a small clearance between the screws, thus preventing metal to metal contact. Single unbalanced mechanical seals keeping the liquid to be pumped isolated from the bearings and the gearbox. For protection against overload a built-on spring loaded relief valve can be supplied. For pumping contaminated or slightly abrasive, lubricating and non-lubricating liquids of low or high viscosity which do not chemically attack the pump materials ( corrosion proof materials can be offered). In the chemical and petrochemical industry, soap and grease industry, paint and lacquer industry, food and beverage industry, plastics industry, sugar industry, environmental technology, in tank farms and in the shipbuilding industry. Loading & Unloading Of Fuel Oil And Other Products From: Railway Wagon Rakes, Truck Tankers, Barges, Ships And Tankers, Bulk Cargo Handling Process Pumping Of High Viscous Products Such As Bitumen, Molasses, Soap And Similar Products Long Distance Pipeline Pumping Of Viscous Products. Cast Iron / Ss 316. Lubrication, circulation, Process Pumping of high viscous Products,Bitumed and Molasses. 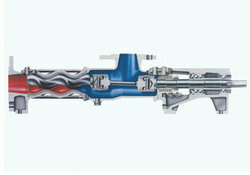 We are engaged in offering our clients a high quality range ofTriple Screw Pumps. 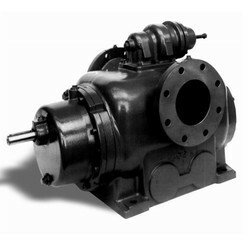 Used in various industrial applications like machinery lubrication, fuel oil transport, etc., these pumps are manufactured under the guidance of our skilled professionals using premium quality stainless steel and avant-garde technology. 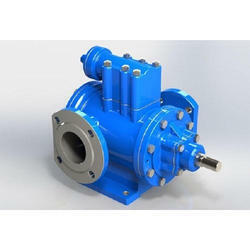 Checked on various quality standards to assure their high quality and performance, theseTriple Screw Pumpsare available in different specifications as per the specific needs of clients. Application Oil Transfer,Filter Press,Fuel Oil,Crude Oil. Cream and waxes. For the varied requirements of our clients, we are engaged in dealing an extensive range ofSingle Screw PumpTIS. These are equipped with precious components and are widely appreciated by our clients for its outstanding quality and long lasting functional life. In addition to this, c Chemical Pump could be availed in plethora of range and specifications.